Within the boarders of the borders of Evans, Yale, Downing, and Broadway, just south of Denver we find the community of Rosedale. At the center of this quiet middle-class neighborhood is an area known as Harvard Gulch. Residents of Rosedale find this hilly, open space ideal spot for picnicking, jogging, and playing games. Harvard Gulch also has an outdoor pool, pathways, the Denver Urban Garden, and 9-hole par 3 golf courses. 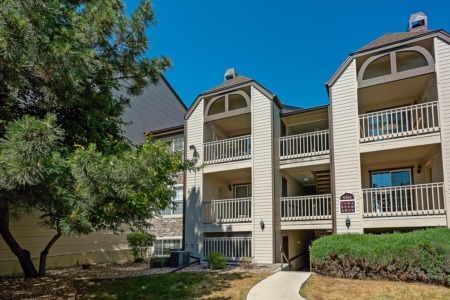 Rosedale residents also enjoy easy access to surrounding communities since the RTD light rail system serves the neighborhood, and Interstate 25 is only a few minutes away. The eighteen-block corridor along South Pearl Street is the center of unique shopping and dining experiences for Rosedale residents. Commercial and residential construction in this area has seen increased activity over the past 2 decades adding choices for homebuyers. Single-family homes, condominiums and apartments are available here. Residents of Rosedale enjoy the services of The Platt Park People's Association, a Denver Registered Neighborhood Organization, which serves nearly 3,000 homes and many of the businesses in the neighborhood and membership is open to all residents and business owners within the community’s boundaries. In just a few short years, the massive T-REX highway expansion program will be completed, and Light rail will move thousands of riders through the newly named Louisiana - Pearl Street Station increasing business and social opportunities in the Rosedale real estate.